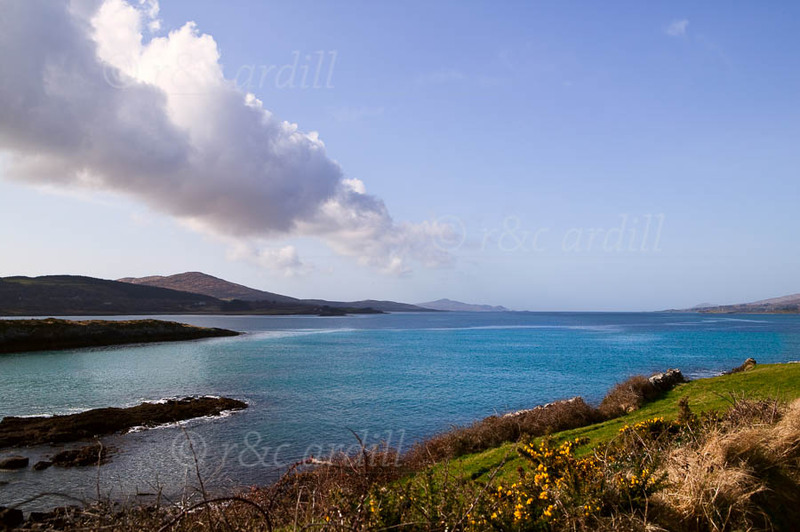 Photo of: West of Ireland: West Cork: Dunmanus Bay. Dunmanus Bay taken from the Sheep's Head Peninsula in early Spring. Knockaughna mountain can be seen to the left and in the background is Knocknamaddree mountain.